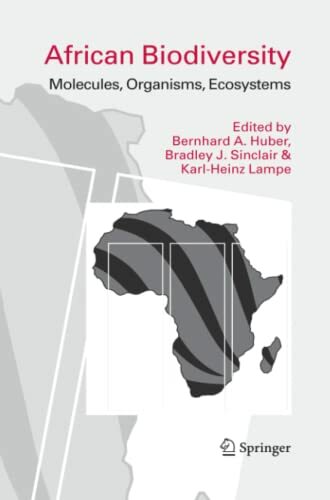 This book highlights African biodiversity at all levels ranging from molecules to ecosystems. Major topics are biogeography, speciation processes, phylogenetic patterns and systematics, diversity decline and conservation, and applied biodiversity informatics. The 42 contributions are mostly on insects and vertebrates, but include botanical papers as well as more general chapters on biodiversity informatics.